I love to play football, tennis. 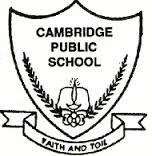 (sparsh_arsenal) 96.2% 29 Cambridge Public School, Bangalore yasssssss!!!!! rahulbhardwaj2002 344 days ago Well deserved :) happy for you! aayushjoshi 344 days ago Great job, man!! Your contributions paid off!! It turns from blue to pink. This indicates water vapor has been released during the process of transpiration. Pressure of blood in the veins is comparitively lower than in arteries and to prevent the backflow of blood, veins have inner valves known as pocket valves. Leaves are thin to increase the rate of translocation and for easy diffusion of gases. They are broad for more light absorption. The optimum temperature suitablle for the process of photosynthesis is 25-35ºC. So that diploid number can be regained;.